Chemistry is really a big branch of the science to study. 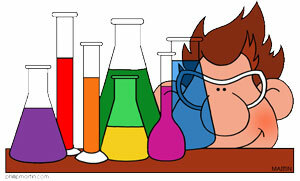 In this section, you will find interesting topics of the chemistry that will help you in your studies. These topics will be general and informative with nice pictures to help you understand the concept easily. So, start learning chemistry now and find the interesting world of chemistry. I hope you will find many new things and will enjoy learning chemistry. Did you know? Jabir ibn Hayyan is considered as the founder of the chemistry. He was a Persian Muslim alchemist, who invented many acids and instrument for experimenting on the chemistry and wrote many books on chemistry. Did you know? Water is a substance, which expands on freezing. Did you know? Gallium is metal that can melt in your hands.